Add the perfect pop of color, texture & dimension with a Premium Fern Hanging Basket from Sawyer Home & Garden Center. Plant Care Information: Add just enough water to the outer pot to keep the pea gravel moist so it increases humidity near the plant. 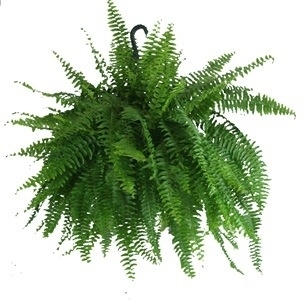 You can also spray the fern weekly with water to increase humidity. Fertilize the potted fern once a month after watering the plant well. Use a liquid fertilizer made for houseplants.